For those that have walked about the Belleville neighborhood in Paris, you know it to be something of a varied and colorful neighborhood. It lacks that grand “Parisian” quality that so many lend to the French capital and is much more working class and full of recent immigrants. Some streets are just one discount Chinese shop upon another. Others are in a state of quasi hipster gentrification which essentially means that trendy restaurants with raw wood interiors are being put in to businesses that were once actually useful to the neighborhood. Then, there’s the Belleville Park. 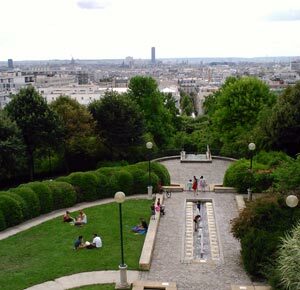 Sitting atop a small hill, it’s one of the more lovely elevated views of Paris you can find and happens to be the highest park in the city. The buildings in the park offer little in the way of magnetic attraction given that they were built in 1988 and most definitely show it in age and ugly architecture. But the park is a wonderful green wedge tossed in amongst some of the less stately buildings to be found in Paris. 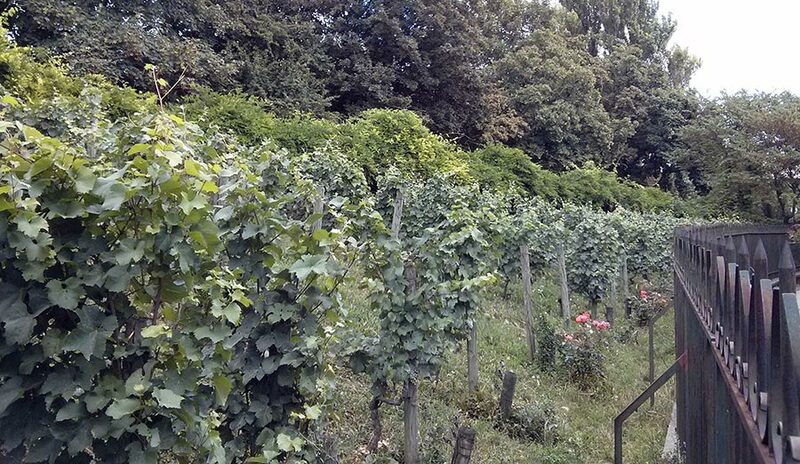 And one of its most unique aspects is a small vineyard. It is ironic given the amount of wine imbibed in Paris, but grapes are not grown there. This plot of 160 Pinot Meunier and 27 Chardonnay planted in 1992 are the exception. They pay tribute to the past history of the neighborhood which did indeed have wine vines and produced a wine called, Piquette served by “Au Tambour Royal” prior to the opening of a gypsum quarry and then the redevelopment of the area as a whole. As to what anyone is actually doing with these grapes seems to be unknown, but they are most definitely growing and when we saw them recently, they are nearly ready to be picked.